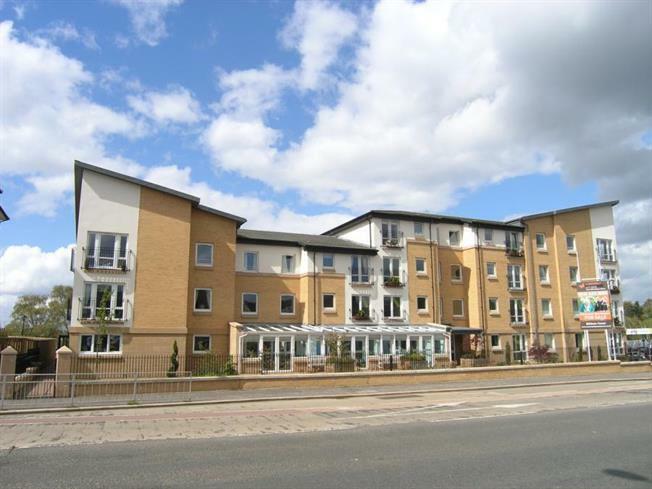 2 Bedroom Flat For Sale in Glasgow for Offers Over £220,000. Hilltree Court is a beautiful development of 57 luxury assisted living apartments, designed exclusively for the over 70s. The development enjoys a central location within the high amenity district of Giffnock which boasts excellent shopping, quality restaurants and excellent bus and rail services, this particular and sought after two bedroom apartment provides comfortably sized accommodation which is finished to a high standard. Comprises entrance hall, lounge/ dining room, two double sized bedrooms with fitted wardrobes, modern style fitted kitchen with integrated appliances and a spacious wet shower bathroom includes integrated vanity units, low set bath and w.c The development includes a luxurious homeowners' lounge, a table service restaurant and guest accommodation for visiting friends and relatives. Additional benefits include 24 hour care, weekly domestic assistance and security entry system. Viewing highly recommended.